This was our first time to Florence and we booked a two hour walking tour with Cheryl to get a feel of the town. She was very knowledgeable and took us to all the key spots. She also gave a great recommendation for lunch following the tour. The experience was well worth the time and money. TOUR GUIDE RESPONSE: Thank you! It was wonderful to spend the time with you and I truly hope that you'll be back to Florence soon. David said he wants to see you at the Accademia the next time you're here! My partner and I had the pleasure of Cheryl's company for a few hours and found her very friendly and informative. We look forward to spending more time with her on our next visit. Highly recommended. TOUR GUIDE RESPONSE: It was a true pleasure to begin the new year with you. Thank you for your booking and for your wonderful review and recommendation. I would be delighted to see you both again on your next trip! TOUR GUIDE RESPONSE: It was a pleasure to start the new year with your family! Thank you for your booking and for your wonderful review. We were led to a guided visit of Florence by Cheryl. Cheryl has lived for several years in Florence and knows the history of every corner of the city. She is also very familiar with Italian art history. Her knowledge of Florence's past and architecture is very impressive. She gave us extensive information on all the landmarks that she took us to see. that she took us to see. She also offered us many post-visit recommendations on what to see, what to do and where to eat in Florence. She is a superb guide. TOUR GUIDE RESPONSE: Thank you for your wonderful review and the privilege of being accorded some of your time in Florence. It was a true pleasure to guide your group. We enjoyed our tour with Cheryl. We find it very helpful that she used to live in the US as she speaks very good English and is very efficient. She helped us pick our hotel, Hotel Cerretani, which is in the middle of every attraction, shops, great restaurants, and very close to the train station. Even after the tour, she sent us a text to follow up on a few things and places of interests. TOUR GUIDE RESPONSE: Thank you for your review, Lucia! It was a pleasure to meet you and AJ...and I was glad to see that the weather cleared later in the day. Cheryl was the absolute best tour guide plus some. She was extremely knowledgeable of the area and history. She was very personable and patient with our group (16 very excited and sometimes difficult to coral ladies from the US). She took extra time to show us places we may want to visit later, to give us tips on other cities, and to check in by email later to see if we had any other questions. Plus, she took us to the absolute best gelato spot in Florence. Thank you Cheryl!!! We found Cheryl to be a great guide in Florence.. she was very accommodating to our groups needs and considerate. Cheryl's knowledge and enthusiasm to show us Florence and some the most interesting features were second to none. She made it interesting for novices and made the history and art in Academia come alive and actually infected us with her enthusiasm. I would certainly recommend Cheryl as an excellent guide to my friends and family. TOUR GUIDE RESPONSE: Thank you very much for your wonderful review and for allowing me to be a part of your time in Florence. Your group has a special place in my heart and it was a privilege to be your guide. TOUR GUIDE RESPONSE: Many thanks for your rating and for you and Don having chosen me to show you Florence. Cheryl was amazinggg! She is so knowledgeable about all of Florence and had fascinating background info on everything. She is someone I would not hesitate to reccomend or book with again. She was very attentive to our needs and made sure my son (13) was informed and involved. Cheryl also went above and beyond in her reccomendations and booked a gelato experience for as as well. It really made our trip complete! If There were more stars I'd give her 100! Grazie mille ! 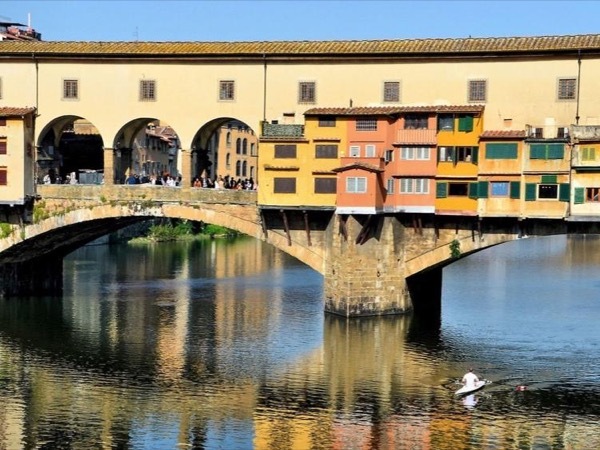 Cheryl gave us a very passionate tour of Florence with detailed explanations of the sights, museums and hidden corners of the city. She showed knowledge like a true local about the history of Florence and went beyond our expectations by providing us with detailed recommendations for the rest of our stay. Thanks again Cheryl for a great intro to lovely Florence! TOUR GUIDE RESPONSE: Thank you very much for your review, Martin. It was truly a pleasure to introduce you to the city. Clients like you and Leticia make me love my work! TOUR GUIDE RESPONSE: Thank you very much for your rating. It was my pleasure to show your family around Florence. Please give my best regards to all and tell your children I really enjoyed our conversations about their post-vacation summer plans!